A. 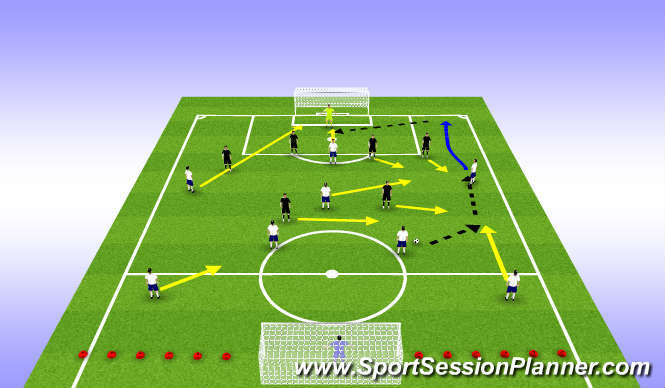 Passing exercise - Player faces the passer, plays a 1/2 then moves backwards first before going forward to receive the ball back. By going backwards first the player is working on staying onside. 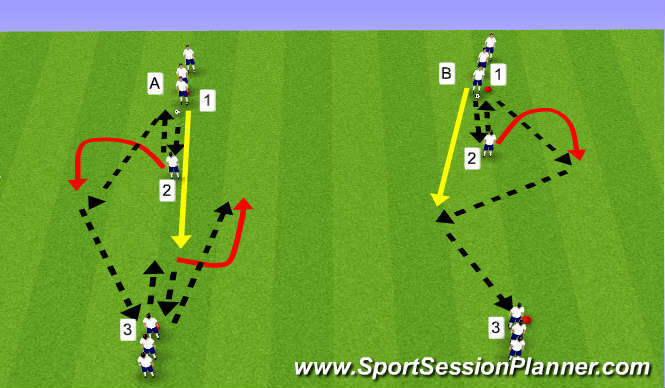 After player 1 passers the ball he is on the run to get it back from player 3 and repeat the other way. B. Same beginning as A, but now after player 2 has opened up and received the ball from player 1, player 1 runs and receives th ball back from player 2. Go Left after going Right. Make the field wide in attack, posession of the ball. Good entry pass to the forward. Talk about why 5 passes - is it because the team has won the ball when the oppsoition has numbers behind the ball and you need to pass it? 2 teams of 5v5 play against each other with 1 neutral making it 6v5 in the middle for the team in possession. And 2 N on the outside. 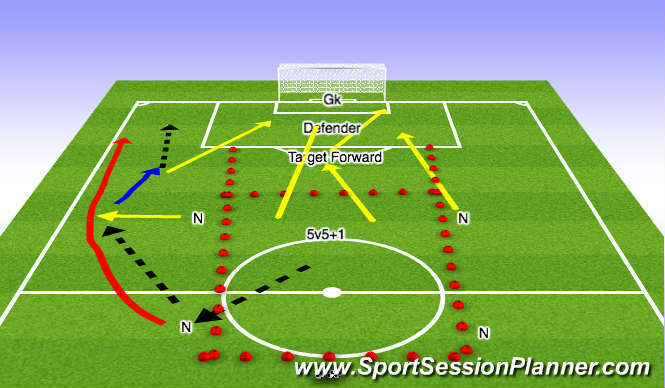 5 passes then play into the Target Forward or the wide Neutral player. One player must get around the wide N player. 3 players break into the final third and the overlapping player must pick out an attackert for a shot on goal. Ball goes wide - overlap #s in the attack. Players getting around, inter changeable movement of positions. After finishing track back to defend. 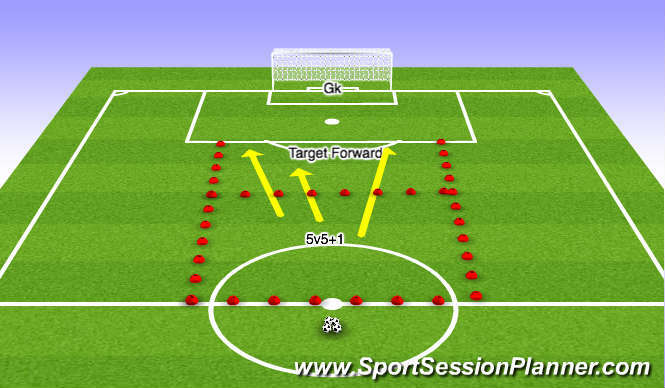 Need a player going going front post, one back post, one centrally, one top of the box. Crosser has to pick out a player avoid the defender. 2 teams of 5v5 play against each other with 1 neutral making it 6v5 in the middle for the team in possession. And 4 N on the outside. 2N player higher as wide attackers and two deeper as FB&apos;s. The FB&apos;s now have to get around the forward. 3 passes then play into the a wide Neutral player. 3 players break into the final third and the overlapping player must pick out an attackert for a shot on goal.